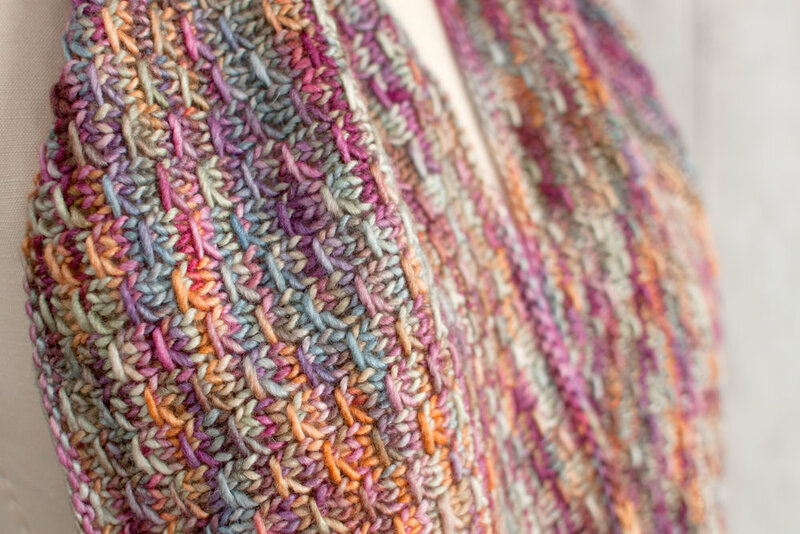 Cast on a creatively textured cowl knitting project! From Manos del Uruguay, the overall stitch pattern resembles dragon scales. It uses two skeins of kettle dyed Manos Silk Blend yarn for perfect stitch definition. The cowl is long enough to be worn doubled around the neck.